Happy Birthday to Sergei Sergeyevich Prokofiev! Born #TodayInOpera 1891, the composer from the Ukraine has a wide variety of compositions that have made their way into the core repertoire. One such masterpiece is Петя и волк, Petya i volk or Peter and the Wolf! There is not, in my opinion, a clearer example of thematic composition used to greater advantage. The piece truly informed the way I LISTEN to music. I could identify the instruments and tell you what was happening to two characters at once. I began to listen for changes in key even if I wasn’t able yet to identify the difference. I could listen to the whole thing focusing on one character or another depending on my mood. It Was Fun! I still think it’s one of the best “introduction to orchestra” pieces ever written! So thank you Maestro Prokofiev, we celebrate your birth! 1 Happy Birthday to Charles Gounod! 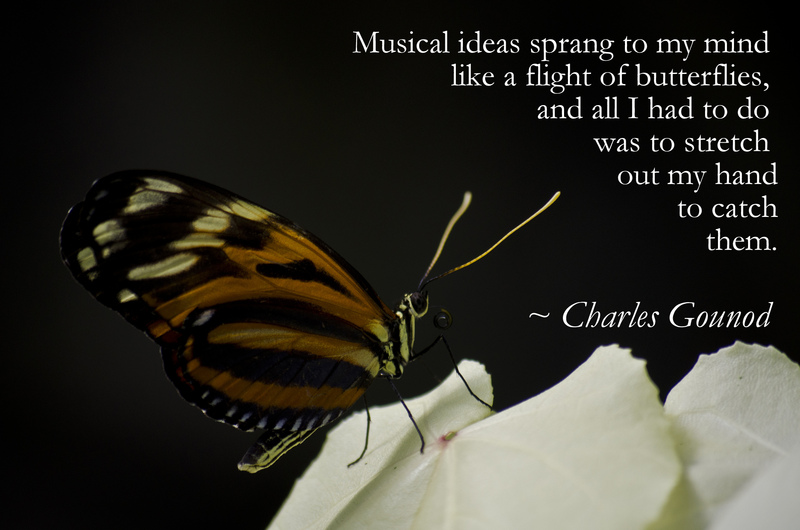 Musical ideas sprang to my mind like a flight of butterflies, and all I had to do was to stretch out my hand to catch them.